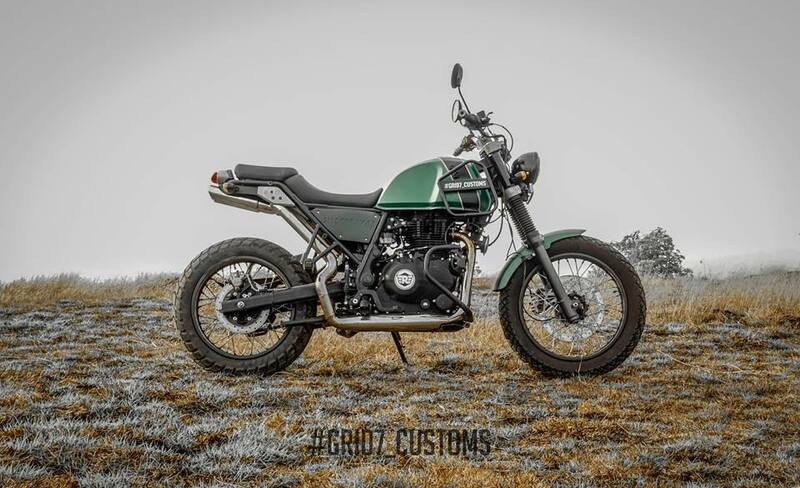 Royal Enfield introduced the Himalayan as an off the chart motorcycle squarely aiming at the adventurous riders who could use it as a perfect stepping stone for high-end off-roading tourers in the performance classes. 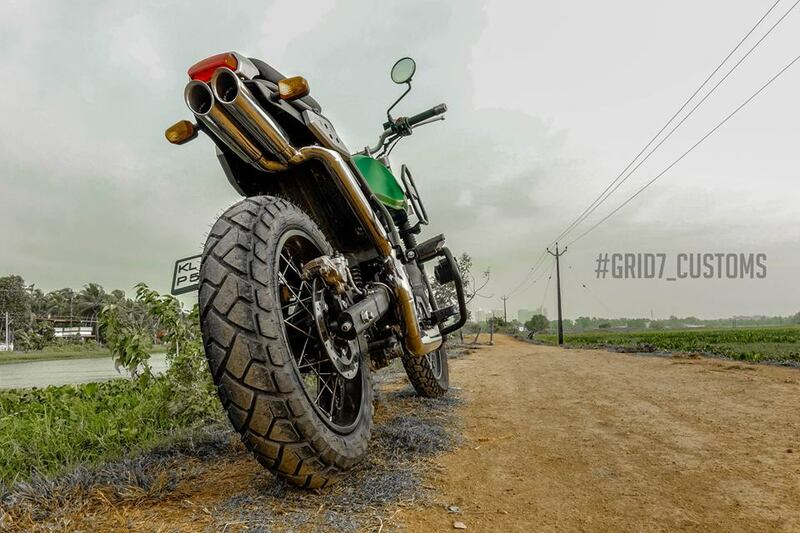 Make no mistake as the Himalayan is a serious bike with all intends and purpose judging by its big diameter wheels and the long travel suspension. 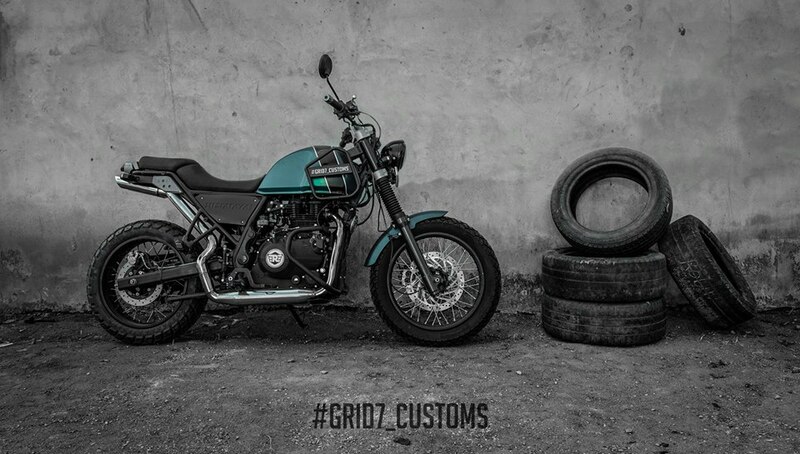 It bridges the gap between simplistic design and modern approach of an adventure tourer shaped with no fancy bits. Whether on and off the tarmac, the Himalayan has been built for taming the rugged and exhaustive path ahead going by my personal experience. 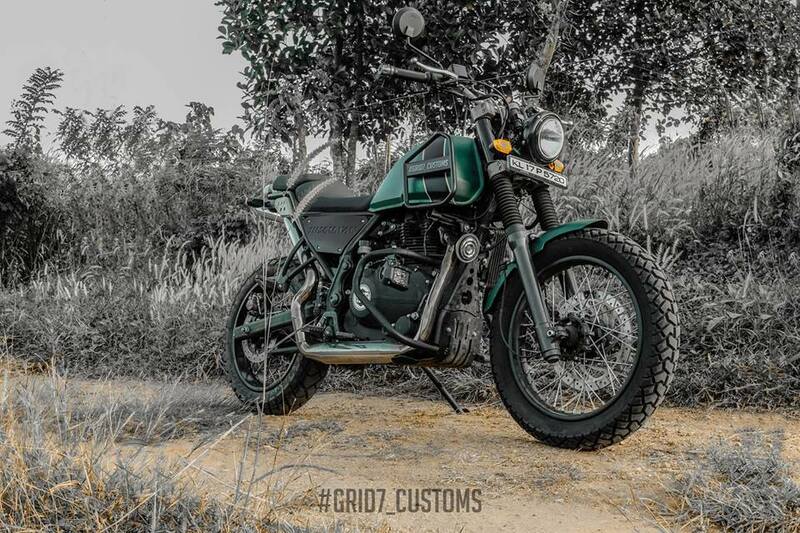 But, there is one element the Himalayan shares with dignity to its retro cousins. The ability to be custom made in low or high price brackets with ease. Grid7 Customs based in Thrissur has come up with a show-stopping mod job that would make you wanting for a similar touch. Scrolling through their social media page, I could see that this personalisation work coming along for quite a while and it worth the entire wait. 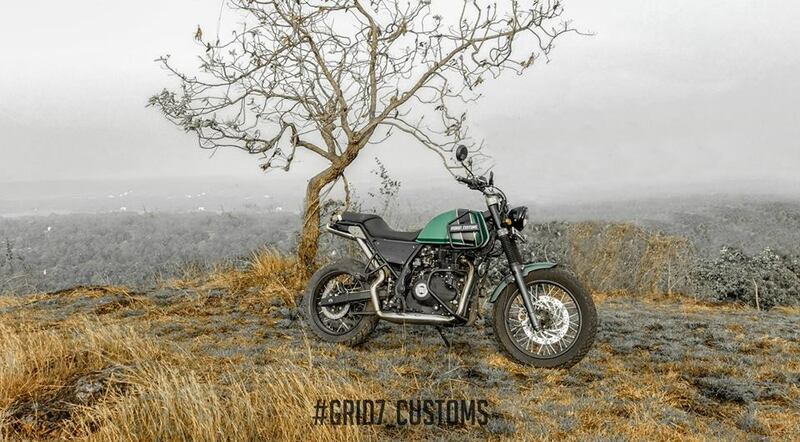 The green and black mean styling of the Himalayan looks impeccable and it harks back to the pain jobs of the vintage Jaguars in British racing green. 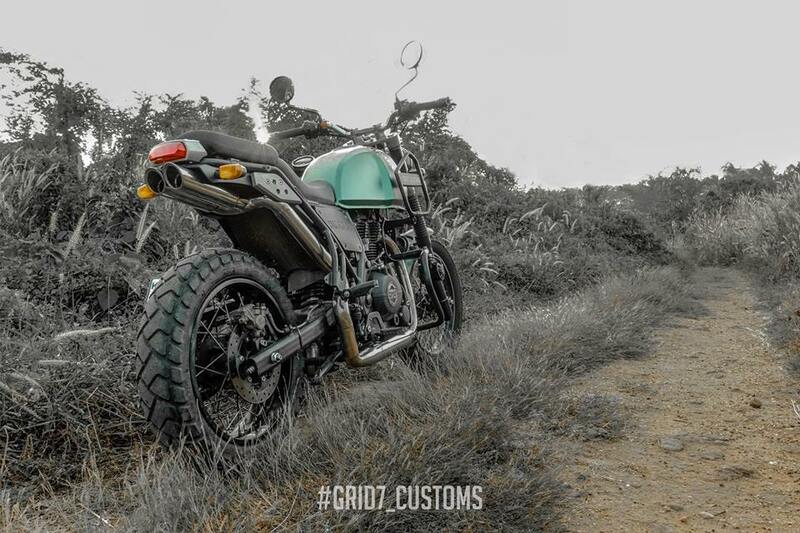 The tuning firm says this customised adventure tourer has a ‘performance exhaust system’ that starts out of the engine and runs underneath to exit at the taillamp with double barrel pipes. It is said to be made in stainless steel and wool which bear 1,260 degrees. The retro round shaped headlamp is delightfully kept intact while the instrument cluster seems to have been mounted on the sides. 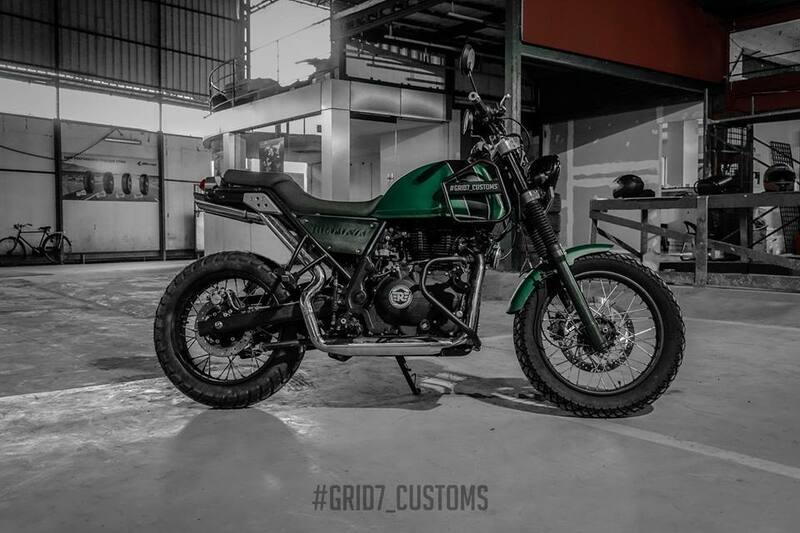 The colour scheme was named as a different shade of military green and there is a subtle modification to the tank side grille. The wheels and rubber are changed to 110/80/18-inch front and 140/70/17-inch rear specification. For an enhanced visual appeal and to accommodate the exhaust outlet, the rear number plate is placed on the left side. 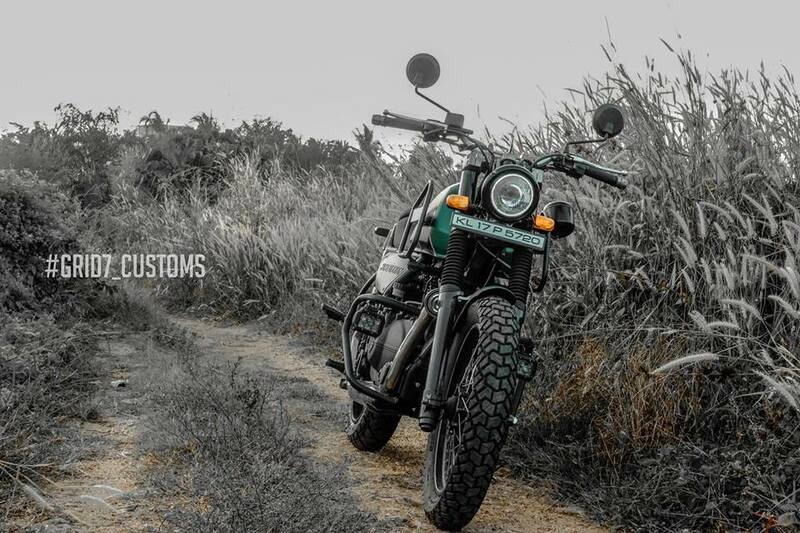 Amidst all these custom works, the Himalayan continues to have the same ground clearance of 210 mm. Overall, a job well done indeed! The stock Himalayan is powered by a single-cylinder four-stroke air-cooled SOHC 411 cc engine that makes 24.5 BHP and 32 Nm of peak torque and is mated to a six-speed transmission. 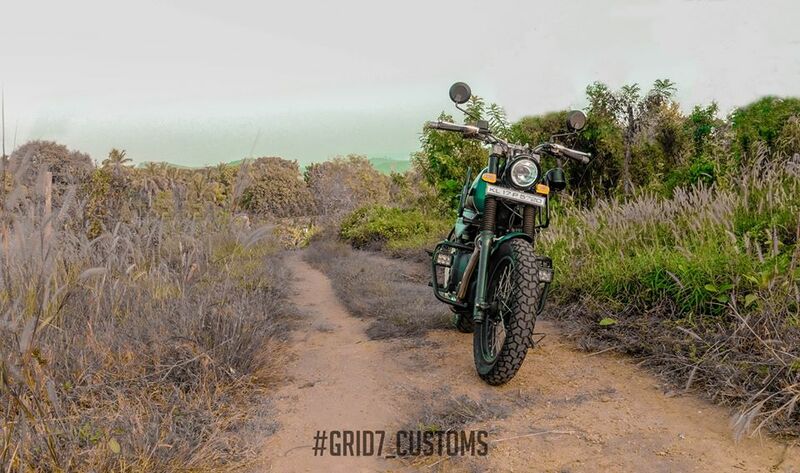 Whether the custom-made Himalayan is more powerful than the regular model is yet unknown.